Hagerty Insurance is an insurance company specializing in classic car insurance and has been in business since 1991. Not only do they offer insurance for classic and antique cars but also sell boat insurance. The company owners are classic car enthusiasts themselves, so they are knowledgeable and fully training about classic vehicles. Haggerty advertises on its websites that rates can be as much as 43% lower than daily driver or “regular” auto insurance carriers. Another interesting aspect is that Hagerty re-invests 10% of its profits into the classic car community through educational, historic vehicle and youth programs. Hagerty insures more than 700,000 vehicles, 10,000 boats and 25,000 motorcycles worth approximately $19 billion. The company is headquartered in Traverse City, Michigan. It also offers international insurance; classic car and boat insurance in Canada as well as class car and motorcycle insurance in the United Kingdom. U.S. policies may be underwritten through Essential Insurance Company, Nationwide Mutual Insurance Company or Nationwide Insurance Company of America. All of these insurance partners have an A.M. Best rating of A (excellent) or better. 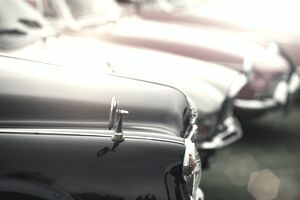 Hagerty Insurance has a youth advocacy program dedicated to providing youth unique ways of learning about classic cars and encouraging them to become involved as a classic car enthusiast. Its youth judging program is included in over 100 classic car and boat events through the country and is designed for youth ages 8 to 14. The judging is kid-friendly and the youth interact with the owners to learn fun facts about classic cars and boats. The Better Business Bureau file for Hagerty Insurance was opened in 1993. It is not a BBB accredited business but has an “A+” rating with only five customer complaints filed; one under the guarantee/warranty issues complaint type and four under problems with product/services. That is a very low complaint number based on the number of years Hagerty has been in business (since 1991). For most states, high risk drivers who have been convicted of alcohol-related offenses, excessive speed violations or reckless driving are not eligible for coverage. Vehicles may not be used regularly for driving to and from work or school, routine shopping or daily use. Vehicles not covered under the Hagerty Classic Auto Insurance Policy include: camping, off-road or utility-type vehicles; daily-use vehicles, commercial-use vehicles, motorcycles with performance modifications, vehicles with nitrous components and dune buggies. Vehicles are allowed to be used for club functions, exhibitions, tours, occasional pleasure driving or organized meetings, These vehicles must be stored in a private, enclosed and secure structure such as a private barn, residential storage unit or residential garage. Guaranteed Value Coverage: Through the guaranteed value coverage option, you will receive the full value of your car’s insured value in the event of a total loss. There is no depreciation. Any deductible will be subtracted from the total amount paid to you for a covered total loss. Flexible Usage: There are no fixed mileage restrictions for occasional pleasure use. Hargerty Plus: This is the plan option that offers emergency roadside assistance 24/7 for emergency fuel deliveries, lockouts, tire changes, dead batteries and more. Any flatbed towing is down with soft straps so as to not damage your classic vehicle. In-House Expert Claims Service: Claims are handled in-house by qualified experts. The company offers stock original replacement parts even for rare and hard to find parts for antique cars. Instant New Purchase Coverage: New vehicles are covered for 30 days up to $50,000. Spare Parts Coverage: $750 under comprehensive coverage for spare vehicle parts. Auto Show Medical Reimbursement: Up to $10,000 in medical payments for you or family members injured during a car show or any related functions. Motorcycle Safety Equipment Coverage: $1,000 for safety apparel including helmet, jacket, leather pants and gloves. Hagerty Insurance only insures classic and antique cars, so it knows what it is doing. The company offers low priced classic auto and boat insurance with an option for roadside assistance coverage. By using their own in-house claims department, the company can help keep claims expenses down. The company has several discounts and online quoting is quick and easy. Hagerty Insurance is owned and operated by collector car enthusiasts, so the representatives are very knowledgeable about the products and services offered. Company partners who underwrite policies all have an A (excellent) or better rating through A.M. Best. To learn more about the classic car insurance options or to receive a quote, you can visit the Hagerty Classic Car Insurance website or call 877-922-9701.